In case you want to go directly to Lourdes and visit Torreciudad in a later stage, we suggest this other option through the Somport tunnel. This is one of the most beautiful and exciting itineraries that you can take. The road runs through Huesca, Jaca and Canfranc all the way to the French border. 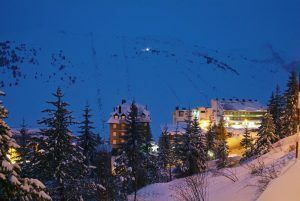 Jaca is an important tourist and winter sports center with a great historical and monumental patrimony. It has a jewel of Spanish Romanesque, the Cathedral of San Pedro. Dated in the 11th century, this building constitutes one of the most important artistic treasures of Aragon and the Iberian peninsula. It was the first large Romanesque construction in Spain. The cathedral of Jaca is admired due to its rich and varied sculptural decoration on capitals, walls and bases. It is necessary to pay special attention to the well known ‘ajedrezado jaques’, a type of ornamentation that simulates a chess board. The cathedral has since 1963 a Diocesan museum with a permanent exhibition of artistic funds of the diocese. The Diocesan Museum of Jaca, reinaugurated in 2010, is one of the best Romanesque collections. More than 2,000 square meters of exhibition halls that are home to a wonderful background of mural paintings from different churches. Its collection is considered one of the best at the international level in romanesque and gothic mural painting. 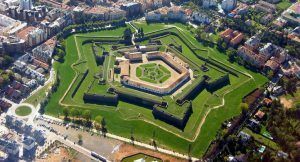 The visit to the city can be completed with the Citadel, an impressive military fortress with pentagonal shape, the Clock Tower and Rapitan Fort (an old military fortress located on a hill). Not far from Jaca (only 22 km.) you can find one of the jewels of this trip, the San Juan de la Peña Royal Monastery. It is a spectacular medieval monastery nested in the rock from which takes its name. It is one of the best preserved treasures of the Aragonese patrimony. The magnificent Romanesque cloister is covered by the mountain. This combination of mountain and cloister makes of San Juan de la Peña a unique set piece. We continue to Canfranc, very important in the past due to its strategic location in respect to the French border. With a nature and architecture typical of high mountain, Canfranc has one of the most beautiful railway stations. The International Railway Station is a magnificent building designed in various architectural influences that was built as a great showcase of Spain to foreign visitors. The crossing to France to arrive Lourdes takes place through the historic Somport Tunnel. , across the Pyrenees National Park. Pau, capital city of the Aquitaine and Tarbes, will take you to the Sanctuary of Lourdes.